Not all Greenbelt land is sacred. 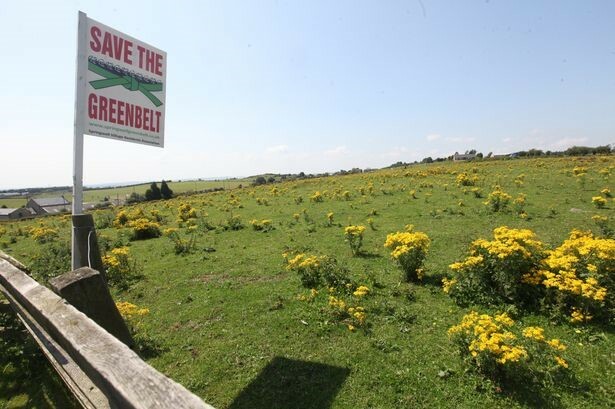 Increasingly, come local election time, we see progressive parties make their stand on local meadows, parks and golf courses, making their pitch to save local Greenbelt from housing developers. They may do so with noble environmental intentions but we should be clear, they are taking a conservative position and it is one that does nothing to alleviate the national housing shortage and it is this sort of ‘Not-In-My-Backyard’ politics that is betraying a generation. Two things can be said of housing policy across the political spectrum. Firstly, all the major parties agree that Britain faces a housing crisis and secondly, so far, all the major parties have been completely bloodless in their approach to tackling it. Stances range from the unimaginative - often Tory - position of auctioning off parcels of land to the highest bidder to be developed into new dwellings with the sole focus on profit over affordability and sustainability, to the belief that to propose any development on Greenbelt is a cardinal sin (the battle cry of the Green Party). Some - chiefly the Liberal Democrats - have adopted a ‘brownfield first’ mantra, demanding that unused urban spaces be filled before considering proposals for valuable green spaces. This is a worthy political compromise in the short term but inevitably we must be more imaginative in planning for the future. Successive governments have failed to bolster the housing stock, house prices have soared and new developments are increasingly snapped up by overseas investors who wish to take a punt on Britain’s housing casino. The crisis has reached its ‘Termination Shock’ with more and more people opting to enter the private rented sector where the cost of rent and surcharges turns the prospect of saving for a deposit into an untenable pipe dream. Last month the department for work and pensions revealed that the number of in-work renters aged 30-54 has doubled in the last decade. Moreover, the average first-time-buyer in 1960 was 23 and had spent 2 years saving towards a deposit that accounted for 21% of the annual household income. By contrast, todays average new home owner is in their early 30s and has spent 5 years saving towards a deposit accounting for 58% of the annual household income. When we factor in the huge increase in the number of dual-income-households during in the intervening decades, those statistics make for a damning indictment of British social mobility. There are many areas of housing policy where simple reforms could help aspiring home owners. The government could lift the cap on borrowing which would enable councils to fund new housing developments. We could legislate to protect renters from unfair registration and re-sign fees which are pocketed by estate agents who already receive a cut from landlords. Rogue landlords could be more easily identified through a national licensing scheme and deposits could be properly protected for renters just as they are for those who are buying. We could go further and ensure that when social housing is sold on to a sitting tenant 100% of the profit is ring fenced to fund new social housing. These are all worthwhile reforms but when all is said and done there is no escaping the fact that Britain will need to radically increase its housing stock. Not only do we need more houses but they will need to be more affordable and sustainable and as we undertake this task we must protect and incorporate plant and wildlife. As we build for the future we must stop placing our excess of golf clubs and overgrown commonage on a pedestal and instead seek to imagine that land reinvented as fuel efficient, accessible and affordable new communities ready to provide a new generation with the entry ticket to society, a place to call home.